As we’ve explored multiple times in the past, icons are an increasingly universal – and extremely effective – feature of many mobile games. They’re an incredibly quick way of getting a message across (“we process visual information 60,000 times faster than text”, so the saying goes), and ultimately help keep the user experience seamless and straightforward. They’re therefore particularly well suited to games, as the most popular app of the moment, Pokémon Go, proves. The game really needs no introduction, but for those of you who have been living under a rock, Pokémon Go is an augmented reality mobile game based on the popular Pokémon series. 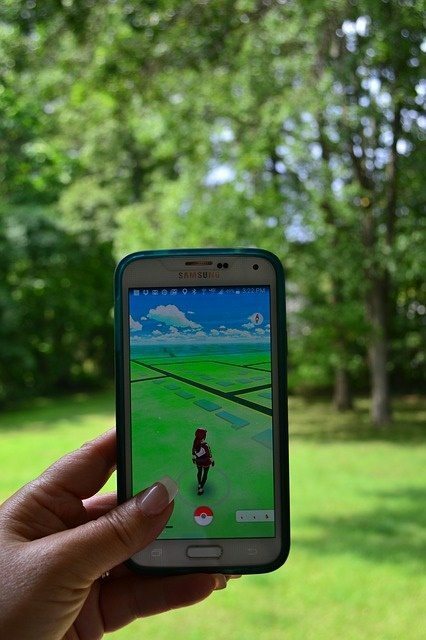 Players use the GPS features on their phone, a customised world map, and their smartphone camera to find, capture, and battle virtual creatures. As many reviewers have pointed out, the software itself is not that well designed or intuitive – but the game is massively popular, much more popular than Niantic’s previous AR experiment, Ingress. To be honest, Pokémon Go is basically Ingress with a makeover – they share the same fundamental mechanics with a few additional features added to Pokémon Go and, most importantly, a well known fictional world mythology about ten year old Japanese kids venturing out into the wilderness to catch exceptionally dangerous mythical creatures. In that respect, and while the fun of the game comes from the real world interactions it spawns, a lot of Pokémon Go’s attraction as an app comes from what are pretty much just roleplay aesthetics. The Pokémon universe gives players a common narrative to explore and develop on their own thanks to features such as custom virtual outfits and the ability to join different global factions. Its GUI, as the thing really tying all of this together, is therefore of significant interest to graphic designers working with games. So let’s take a look at how app icons work as part of the game’s GUI. Newbies and critics alike have pointed out that Pokémon Go has a pretty terrible interface. It looks really nice aesthetically, but it is not intuitive whatsoever. There is no tutorial or hints on how to play the game, and it is not explained to the player how they are actually supposed to interact with the app at any point. In fact, many users have to learn how to play from other players they meet in public. The GUI is sparse and minimalist, with little to no textual explanations. Players are given a map, a brief explanation of Pokestops, and sent on their way. They’re left to rely more or less solely on app icons – and thankfully, these are actually quite good (you’d hope so). That’s not necessarily a bad thing – “what Pokémon Go is benefiting from right now is an emergent mentorship that almost completely replaces a traditional tutorial,” demanding that players interact, argues Chris Furness of Gamasutra. The focus is off of a tutorial-heavy GUI and more about letting the graphics take a back seat and allowing the players to get on with it – a possible double-edged sword. In a rather self-conscious and meta way, the game is actually described to you as a Pokedex – the fictional database system for Pokémon given to the players or main characters by a professor figure. 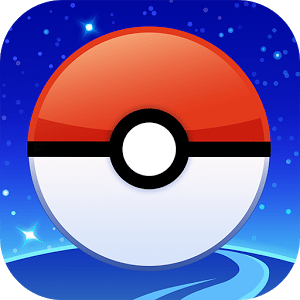 The most important icon, the Pokeball, is almost an exact mimic of the app’s homescreen icon, which itself reproduces one of the most iconic visual elements of the original series. This is used to open up a menu which allows users to access their items, their Pokemon, the in-game store, and other vaguely relevant gameplay features. As you can see, they’re actually pretty neat icons – they’re clean, robust, and there’s only a few of them so they’re distinct enough that it’s hard to get lost on the menu. It’s a return to the flat style of icons but with an extremely minimalist twist – just thin, dark lines against white. 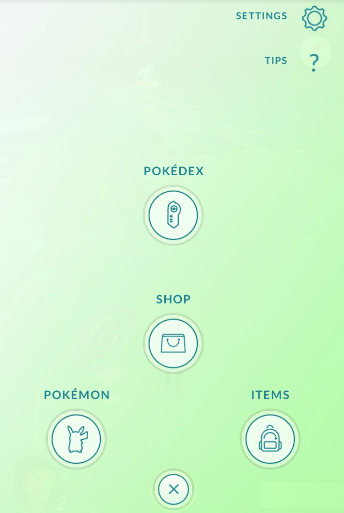 We’ve recently been exploring the issues developers face when it comes to implementing icons into an on-screen map interface – so in the next post, we’re going to take a look at how Pokémon Go approaches the most prominent element of its GUI and one of the trickiest interface elements to get right – the map. Stay tuned.